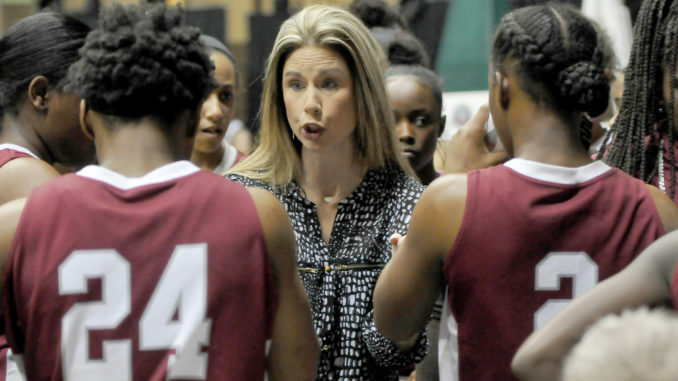 When Destrehan head coach Angi Butler walked off the court of Southeastern’s University Center Saturday, she did so riding a 35-game winning streak as a head coach and at least for the time-being, it looks like it could be a while before somebody has a chance to snap it. Butler led Destrehan to its first-ever state basketball championship that night, but she knew going in that, be it a win or loss in the Class 5A championship game, it would be her last coaching the Wildcats. Butler is stepping down from the coaching perch she took seven years ago in order to focus on her position as a school administrator and on pursuing her administration certification. 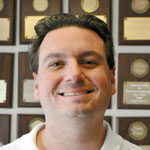 Butler accepted a position as Destrehan’s staff development coordinator in 2014. Butler, who began coaching 20 years ago in her native Texas, made the decision that in 2014 that she would coach three more seasons, through the senior season of her then-sophomore class. You might call that a wise decision, as she walks away after leading Destrehan to the first perfect basketball season in St. Charles Parish history. “I gave that group my word that I’d finish it out with them,” Butler said. “I told Mr. Weber I planned to coach three more years and then focus on my administration certification. He said, ‘well, that’s a lot.’ I was going to school at Southeastern, coaching and teaching at the time in addition to the new responsibilities I was taking on. Butler’s coaching career at Destrehan has been a sterling one. She has led the Wildcats to five straight district championships to close her run and is 52-0 in her last four years of district play. 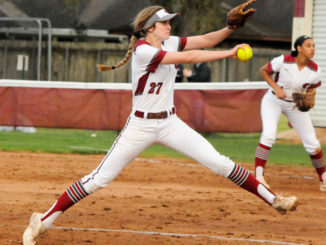 Destrehan is 120-8 over those four seasons, including a semifinalist finish, a state runner-up to go with this year’s state championship. 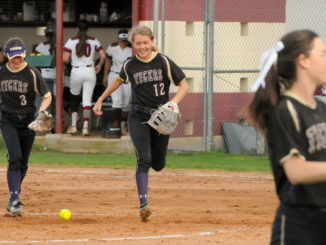 Destrehan senior Cara Ursin credited Butler with making major contributions to her development. Butler admitted she didn’t always make it easy on her players. 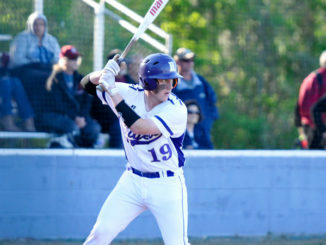 Ursin recalled Butler providing strong direction. Butler doesn’t pretend she won’t miss the day to day aspects of coaching, calling the team’s traditional practice hours between 2:30 and 4:30 p.m. as the “best part of my day.” She also is hardly closing the door on a return to the coaching ranks in any way, shape or form, be it to the prep game or, ideally, a position at the college level. “I had the opportunity to coach at the collegiate level two years ago, a school in Texas, and I had to turn it down,” Butler said. While confident and unwavering in her position to step down, she called her departure from the sideline departure bittersweet, not just because of her overall love of coaching, but how much she enjoyed coaching her latest group.